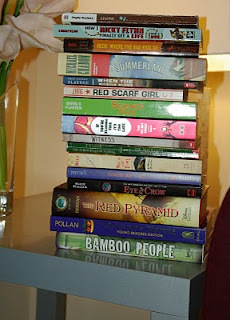 The Red Pyramid is really good! 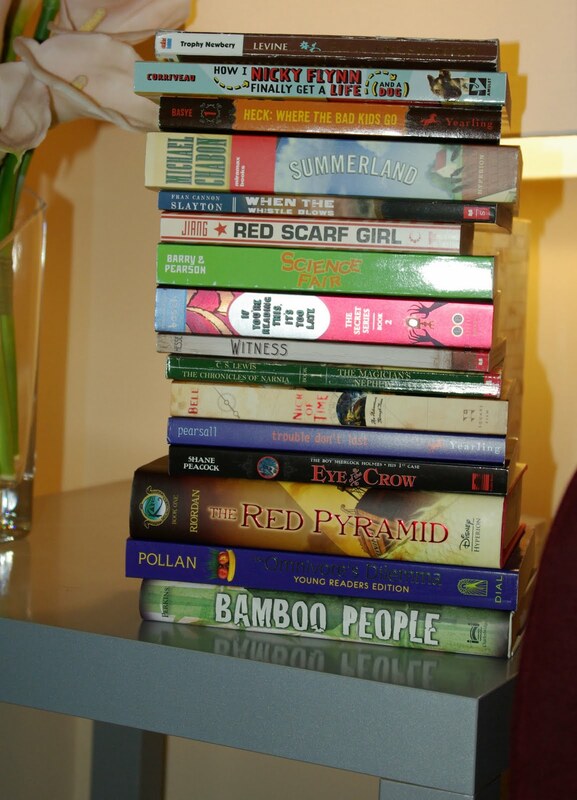 Is the book at the top of the pile Ella Enchanted? Do you need a book that was made into a movie that was filmed in Michigan? Or just a movie related to Michigan? Michael Moore's from Michigan. No, the movie can be anything that takes place in Michigan. I decided to bite the bullet and pick Roger and Me by Michael Moore. Not a big fan of him but it's all I could come up with at this point.